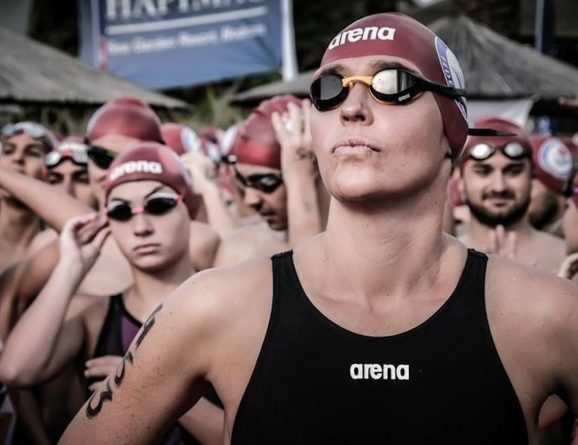 While much of adult life which might lead us to that conclusion, perhaps the secret of outdoor swimming’s unstoppable popularity is that it leads you to the inverse. Most people you meet through outdoor swimming aren’t rubbish: they’re weirdly, spectacularly, totally un-averagely brilliant. None more so than the new OSS SWIM CHAMPS, 17 individuals so brilliant that just standing amongst them (in a virtual way) makes my eyes water. Who knows whether it’s something in the water that makes us get in average people, and come out ‘full of unicorn blood’ (TM Lindsey Cole), or whether it’s only certain people (the free spirited, big hearted ones?) that feel moved to strip off and jump in in the first place, but as a social experiment, one of the key learnings from the OSS is that people are great, and if you want to forge a strong, lifelong bond with someone, you can sometimes skip all the standard getting to know you questions, and just go swimming. Not for nothing do we often get called ‘the nicest place on the internet’. 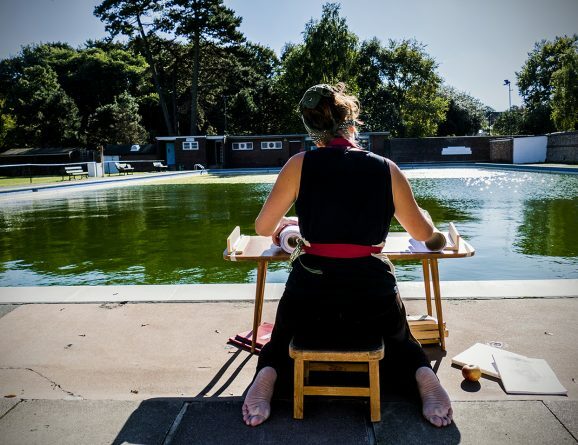 So, please say hello – and welcome with open arms – 2019’s OSS SWIM CHAMPS: a small band of people who volunteered to tell their swim stories and share their swim love in the year ahead. Hundreds of people applied for these posts (all of them brilliant) so what we have here is just a snapshot of the swimming community at the moment: adventure swimmers, endurance swimmers, ice swimmers, winter swimmers, wild swimmers, marathon swimmers, swim-runners, triathletes, social swimmers, relatively new swimmers and swimmers using water as part of mental health recovery. With 10 from the UK, and 7 international, we look forward to following their adventures ahead. How I will #sharetheswimlove: On Instagram and by encouraging people I meet to get involved! Special swimming moment: Solo sunset swim in Loch Lochy. Beautiful setting with the sun going down, snow on the peaks on one bank and beautifully clear (freezing) water. What am I dreaming of? Red bull Neptune steps later this month! Special talents: Writer, Photographer, Environmentalist… (or trying to be!). I use photos to document my adventures and I am currently working on trying to become a better photographer. I enjoy writing, even if only in short blog or Instagram post form. I’m also passionate about saving the environment – particularly keeping our beaches, rivers, oceans and lakes plastic free. One of my goals this year is to get involved in more social beach cleans. How I will #sharetheswimlove: Through photography and written adventures of my swims with my own community sea swim group, the Coldwater Collective in Dorset. I capture our wild wavy swims in all weathers and also try to encourage other disabled or chronically ill people to join us for the health benefits and crazy fun we have. I share it on social media hoping to build a bigger community. Special swimming moment: There are so many! But my favourite must have been swimming on my own in Blue Lagoon in Malta last winter. No one else was in the water. It was warm and so clear, like heaven. Also my first own organised sea swim meet. I was terrified but so happy that a whole group of ladies turned up and I have never laughed so much in my life. Since then every week has just got better. 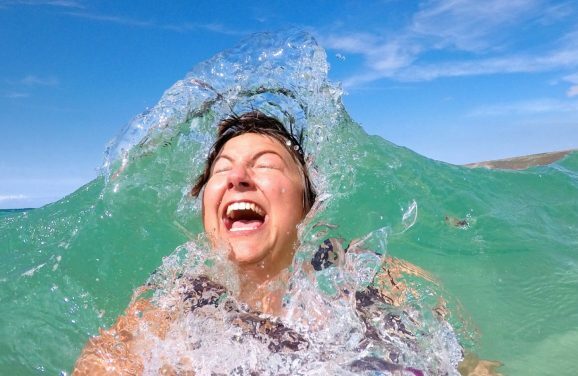 I love going in the sea with different people every week and meeting people who love the water as much as us! What am I dreaming of? I have organised a swimming and snorkeling trip around the Maldives. Taking all my underwater camera equipment to capture the beauty of warm water swimming and our marine life. I paint seascapes based on my swimming adventures and I am sharing these in May at an exhibition for the Bournemouth emerging arts fringe. I’m also very excited about it being the 2nd year of our community swim group. I love getting new people to into the water. Also travelling to other parts of England to swim with more wild swimmers. I really want to encourage more disabled people into the water. It is why I started swimming myself. I can’t walk far but I can swim forever! Special talents: Writer, Photographer, Environmentalist. My Instagram has examples of my work and I am updating the wild swimming section of my website. But if you see my Instagram you will see just what I do and why I do it. Social swim groups: I run my own mixed sea swim group called The Coldwater Collective on the south coast of Dorset. How I will #sharetheswimlove: Through Stone Cold Swimmers, designing urban cool promo to promote swimming. Through good content and blogs to reach more diverse city people. Through encouraging people to get out and explore the wild for their well being. Through outdoors blogging about my family wild swims. By promoting wild swimming in my community. 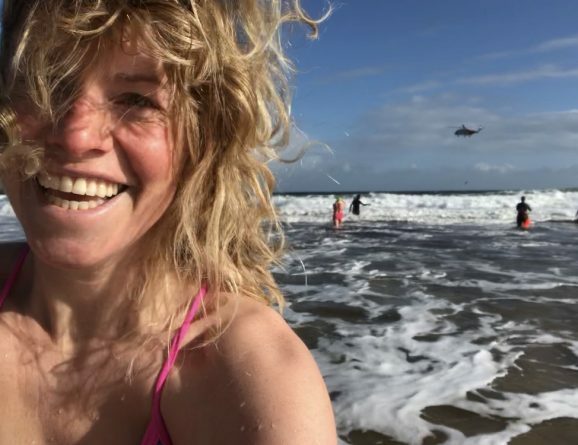 Special swimming moment: Swimming for a day – I just went out and swam off coast and made my own adventure. What am I dreaming of? My dreams for this year are to complete the Dart 10k and the family challenge is to find a ton of lakes/swimming and wild camp with the family to encourage more families to get outside more! Special talents: Writer, design and content creation / curation. I run my own agency called Skylark Creative – content driven. A few words that describe me: Happy, Enthusiastic, Cheery, Scottish islander. How I will #sharetheswimlove: Through my Instagram and stories, my blog and other social media platforms. Encouraging others to give swimming a try, even if you lack confidence or are scared of the water like I used to be. Plus being real is important to me. I’m pale, freckly and Scottish and my hair looks wild after a swim, but I couldn’t be happier and that’s what I want to show. Special swimming moment: I’m going to have to cheat and give you two. First was in the Isle of Skye at the end of Feb when I was up visiting. I ended up meeting Calum MacLean, then a relative newcomer to social media, for an alternative tour of Skye. He took me for my very first outdoor swim in a small, beautiful, green hidden lochan. I wasn’t prepared at all and had to jump in with just a swimming costume, just as the snow started to fall. 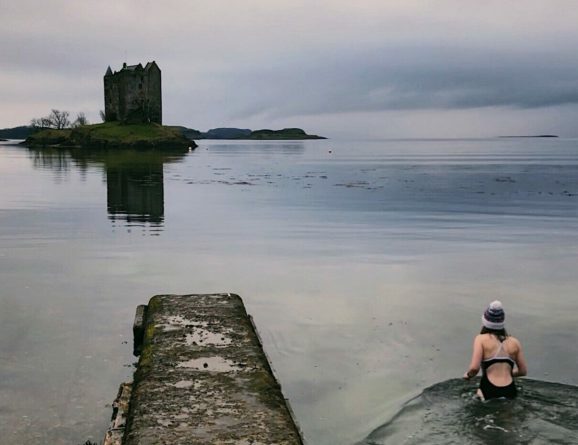 It was quick and painful but exhilarating, and so began my mild addiction to getting in the water outdoors in Scotland. My second was after a solo day out on the hills. I was driving past Loch Lubnaig and I stopped to take some photos of the amazing sunset over the flat calm water. Given my recent introduction into outdoor swimming I just had an urge to be in the water. After a couple of reassuring and encouraging messages from my friends, one of which was Calum, I stripped down to my undies and jumped right in. The water was amazing and the buzz and sense of achievement I felt during and afterwards, is to this day, still indescribable. What am I dreaming of? I am (hopefully) competing in my first Ironman 70.3 in a few months. From being a non swimmer with a fear of water I’ve had to teach myself to swim and get over the fear of having my face in the water. 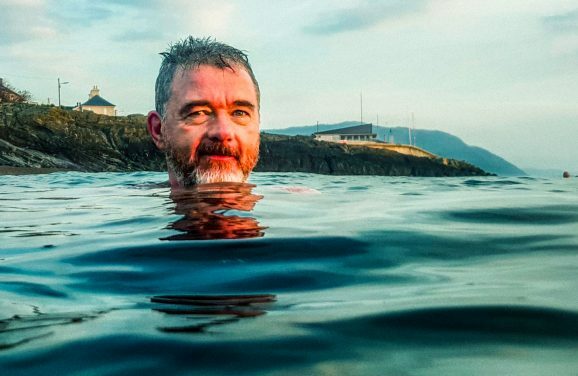 I’m also planning a bikepack around my home island of Shetland, so I’m hoping to discover some new swimming spots and to generally just show off my home. And as always, be up on hills, camping and paddle boarding as much as I can. Special talents: Writer and photographer. I blog about my trips and experiences around Scotland and being outdoors. I aim to encourage anyone, but hopefully women and girls to have the confidence to give new things a try and get outside as much as possible. It’s difficult not to be a photographer when you live and play in Scotland as everywhere is just gorgeous. I’m more ‘in the right place at the right time’ than an actual photographer. I just capture what I see when I’m out doing what I love. How I will #sharetheswimlove: Through Instagram, my role doing PR for OSS, attending events and meeting swimmers as I travel. Special swimming moment: Swimming across Scotland in 2018 solo with the aid of a bright yellow camper van. What am I dreaming of? Undiscovered swimming spots I can explore. My swimming identity: Wild, Winter/Ice, Adventure, Swim-Run, Sea, Social, Solitary, I sea swim at dawn every day no matter the weather – all year round. How I will #sharetheswimlove: Celebrate and share the lives of older inspirational swimmers that swim all year round (75 plus) to promote the accessibility of wild swimming to all and its benefits to longevity – celebrate Cornwall and it’s hidden wild swimming pools, beaches, coves. Share the positive effect of all year round swimming on mental health and physical wellbeing – being true to you, honoring daily self-care and finding your inner happy. I also facilitate the wild swims at Port Eliot festival and Love Trails festival each year and share the swim love by speaking at health and wellbeing conferences around the country on the subject of daily open water sea swimming and it’s numerous benefits to physical and mental health, self-esteem, levels of resilience, creativity and management of anxiety and stress. Special swimming moment: Finally making it out to the first buoy when I first started front crawl sea swimming three years ago – I was so proud of how far I had come after suffering a breakdown caused by burnout and had initially been quite nervous of venturing out into the water. What am I dreaming of? My dream is to be in a position to further share the numerous diverse benefits of all year round open water swimming on a much larger scale. My passion is to continue to educate others not only on the health and wellbeing benefits of outdoor swimming but on the positive impact it can have on our levels of resilience, creative thought, self-esteem, productivity and our ability to better cope with everyday stressors. Daily open water swimming has the capacity to significantly improve our overall levels of contentment, joy and feelings of happiness whilst also supporting our desire to achieve great things within our personal and professional lives. Special talent: Writer, Photographer, Film maker, Environmentalist. 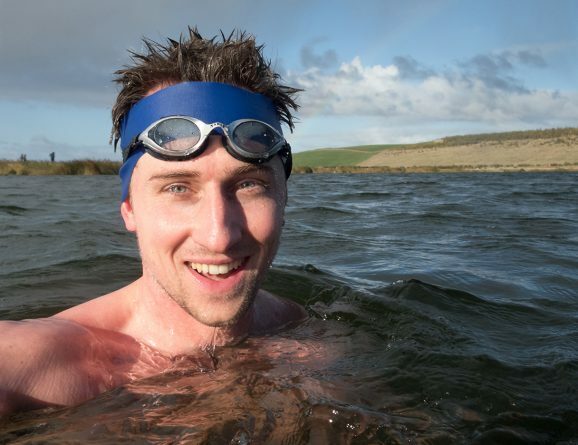 I have written wild swimming articles and have been published in a variety of national newspapers and magazines. 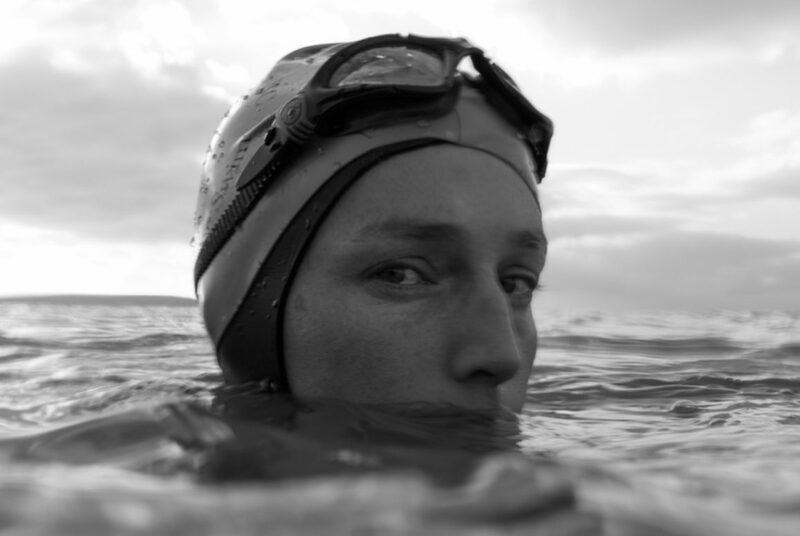 I have also had a BAFTA nominated short film made about my journey with open water swimming, ‘Tonic of the Sea’, which has won numerous film festival awards around the country. I am also a daily dawn wild swim photographer with an exhibition due in the summer of the celebration of the older swimmers – I have also written a self-help book titled ‘Tonic of the Sea’ currently sent to publishers and document the many benefits to health on longevity and decreased incidence of mortality through degenerative disease. I work with plastic free projects to support plastic free seas and am currently working with Embers Aquatics social enterprise based in the UK whose main objective is to train swimming teachers and water safety ambassadors in developing countries. This year it’s in Uganda, The Gambia and further planned projects in SE Asia. 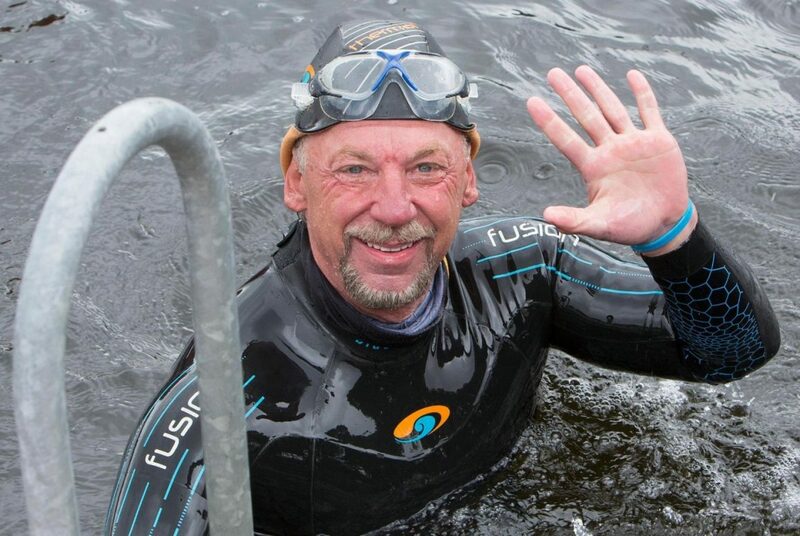 I have also shared the many benefits of open water swimming at Kendal Mountain Festival where my film was shown, and the Wild and Well festival in Bristol alongside the BSLM – British Society of Lifestyle Medicine – by supporting cures found in nature. A few words that describe me: Adventurous, Friendly, Enthusiastic, Amphibious. My swimming identity: River, Adventure, Wild, Winter/Ice, Sea, Lake, Social. How I will #sharetheswimlove: I’m fond of many different flavours of wild swimming, but my main passion is river swimming. More specifically, river journeys where we swim from one town to another. I’d share my own love of wild swimming through these journeys – the people who come with me, the pictures I take, the writing, the social media posts and the maps (yes maps!). The river journeys have tended to be around three miles in length so far, but I’m looking to organise some shorter ones so that I can open them up for more people. The aim is to join two places together by the river that connects them. It isn’t about speed, it’s about enjoying the journey and connecting with the natural environment on the way. I can honestly say it’s one of the best things I’ve ever done. I’ve simply never experienced the natural environment in such epic proportions as when I’m river swimming. This is something I do for the love of it. It isn’t a business and never will be (if anything I do it to escape all of that!). It’s just about sharing the journey with others. How it’s shared? 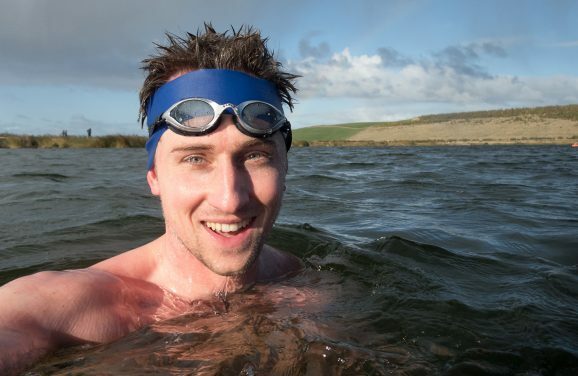 As well as with the people who come on the journey in person (I’m a member of several local wild swimming groups, but I often find it’s people who aren’t yet active in the wild swimming community that ask if they can come on the next trip), I’d be sharing the experience through social media. I’m a photographer and always make sure I have a camera handy. I write up each trip after the event and I also produce my own route maps, annotating details that you wouldn’t see unless you travel the route. I think sharing my love of river swimming has benefits over and above increasing participation. I’m deeply concerned about sewage dumping in my favourite river, the Wharfe. 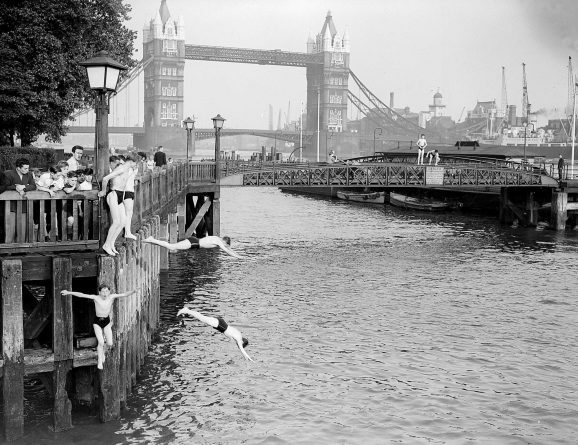 Outdoor swimming is great in that as long as we behave responsibly, increasing footfall (footsplash?) is actually likely to benefit the natural environment. The more people enjoy the rivers in this way, the more advocates we have for keeping them clean and preserving them. Special swimming moment: It’d have to be the first “river voyage”, where three friends swam from Wetherby to Boston Spa. I remember the initial excitement of just swimming in a river, of knowing that we were actually setting out on this journey, one that we weren’t sure we’d finish (I mean successfully… we’d brought supplies!). I remember seeing trees that looked impossibly tall from the river, huge cliffs, kingfishers and flocks of geese. As we arrived in Boston Spa we sat on the final weir for a while before getting back in to swim to the point we’d designated as the “end”. We could’ve just got out there, but that’s what we set out to do and so that’s what we did. What am I dreaming of? I have numerous river routes mapped out and planned and I’m looking forward to starting them once the spring arrives (waiting for the leaves). I’m also keen to explore different ways of recording them, such as map illustrations. I like to swim in different countries when I get the chance too. I’ve just come back from Iceland where I did some very cold swims and I’m likely to swim in France and Switzerland later in the year. In the past I’ve enjoyed photographing waterfalls in autumn. This autumn I’m planning to revisit some of my favourite waterfalls in the Yorkshire Dales and shoot a wild swimming album. You can see one location here. On the more serious side, I’ve got the Hurly Burly swim coming up in September. I’m fond of the big challenges and I have a number of potential swims that I’m considering at the moment. 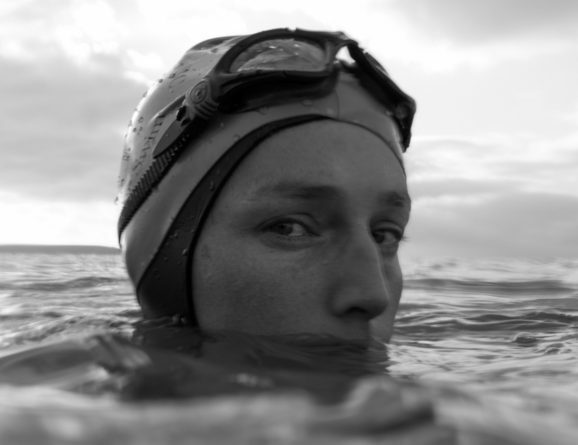 I’m not looking to swim the furthest or be the fastest, but I’m drawn to unique ideas, and ones that promise adventure. Special talents: Photographer: I’m a keen photographer but I’m not a professional. I also freedive, which is essentially outdoor swimming in 3D. You can read about my freediving adventures here, and see some of the results on Instagram here. How I will #sharetheswimlove: I’ve been sharing the swim love throughout my time at University, starting an outdoor swimming group called the South West Seal Pups. Wild swimming is an activity which hasn’t yet reached many youths/ students, so I would continue to work hard in bringing the swim love to a younger demographic. Special swimming moment: “In October, myself, a few friends in Bristol, and friends from Cardiff, met up early in the morning for a sunrise swim. What are you dreaming of? Aside from passing my medical schools exams, the dream is to lead a crew of friends on a swim trip, where we swim for a day down river, with our clothes packed in our tow floats, taking regular breaks to rest in the sun, before making our way back home after the adventure. Special talents: Photographer, Film maker. My photos are shown on the South West Seal Pups Facebook group, as well as on our Instagram, @southwest_sealpups. I love photography and filmmaking, and have made a number of films, only a couple of minutes in length, featuring the Seal Pups! Social swimming? Yes! I started and run the South West Seal Pups, which has, in less than a year, gained over 300 members. Streamable: Welcome to the Pups! How I will #sharetheswimlove: I love meeting the personalities who like wild swimming as much as I do all over the country and sharing their stories. 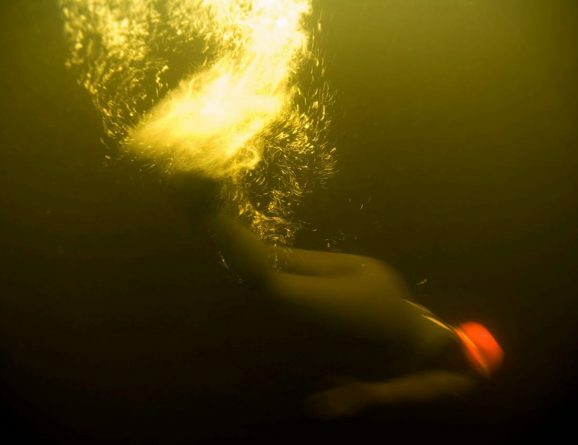 Special swimming moment: I swam the length of the River Thames as a mermaid which made me fall in love with wild swimming and cycle across Britain meeting its wildest swimming communities. What am I dreaming of? Of one day having a dog that’ll fit in a basket on my bike that likes to wander and swim as much as I do. Special talents: Writing, photography and talking to people. How I will #sharetheswimlove: Sharing pictures and inspiration and encouragement on Instagram. I often get asked about my cold water swimming in interviews at work (I’m a fashion model) and I love to spread the word about OSS. I travel all over the world with work and I’m always looking for the opportunity to explore the area from a watery perspective. I add these to the wild swim map and I am happy to reach out to other swimmers and come up with new adventures. Special swimming moment: Swimming through The Needles on the Isle of Wight last year and then landing on the lighthouse. What am I dreaming of? 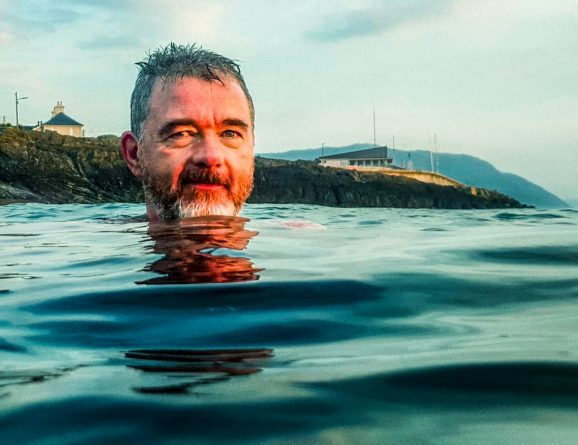 I’ve had to postpone my big swim of this year (Windermere), but this has got me feeling excited about swimming for the pure love of being out in the sea/lake/river with no particular goal other than being free and connecting with other like minded souls. This is a luxury to me! Special talents: Writer, Photographer. I’m not a ‘professional’ writer or photographer but I have written and published both in collaboration with people I work with in the fashion business. I have played a part in videos with a swimming/watery theme. A few words that describe me: Loving, Courageous, and always laughing in the water (mostly from a ‘cold high’ but naturally too). My swimming identity: Wild, Winter, Ice, Competitive, Open Water, Adventure, Marathon, Swim-Run, Sea, Lake, at times swimming through some of the world’s most polluted waters. How I will #sharetheswimlove: Although social media shy, I love to share my experience of being part of a mixed gender adult open water swimming group in Lebanon. Writing about sensations in the water and capturing moments in some of the beautiful but overlooked parts of the sea we swim in. 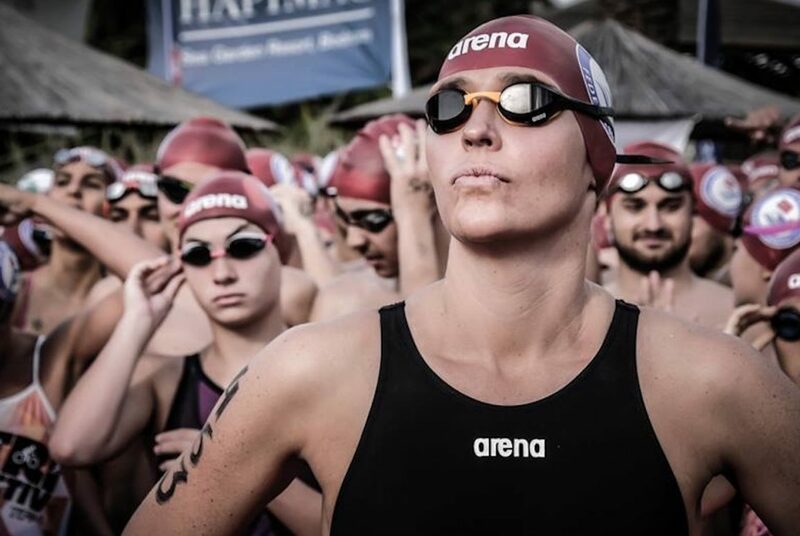 When the season kicks off we travel to Europe to compete, for lack of long distance competitions locally, but train and swim all year round in the Mediterranean Sea. Around December time last year, one of my swims was intruded upon by an empty soda can bobbing about with a straw still fixed in. I grabbed the can and passed it onto my kayak assistance only to imagine that it was probably going to wash back up in the sea. It’s currently jellyfish season, but we continue to swim throughout this time and regularly get stung, all as part of the outdoor adventure. 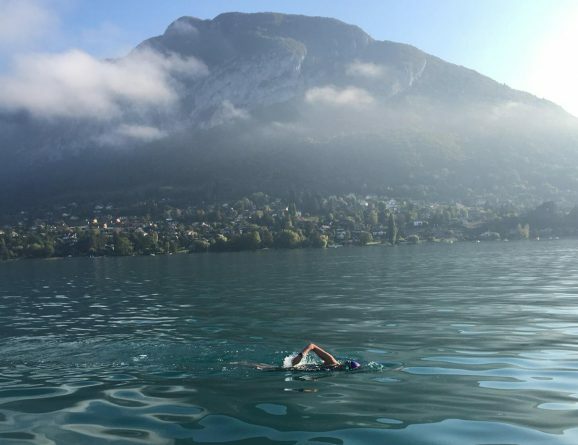 Special swimming moment: It has to be swimming Lake Annecy in September 2018, at the end of my first year of cold water training. In May 2019 I’ll be attending Hit the Wall camp in Carlingford, Ireland, where I hope to withstand long distances in waters of 12 degrees. All of this is part of the journey to becoming the first Lebanese woman to swim the English channel in 2020. Special talents: I enjoy writing and was recently asked if I was allowed to swim in the Middle East with just my bathing suit on as a woman in front of men. My answer was yes of course. 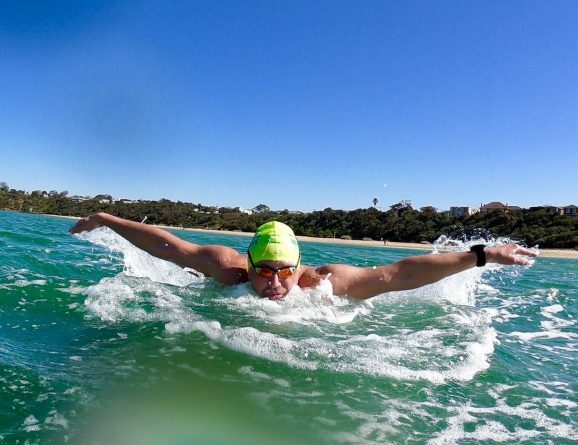 Sharing some of these adventures will demonstrate what open water swimming can do to break social barriers. 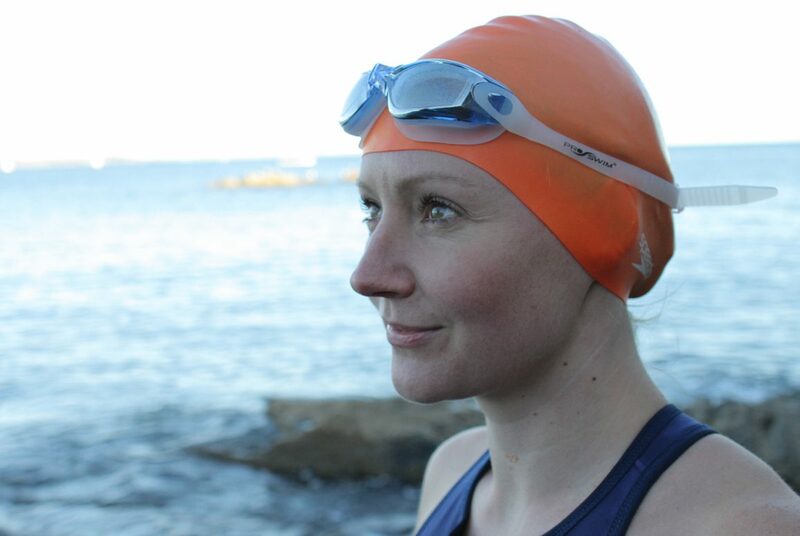 My swimming identity: Wild, Competitive/Open Water, Adventure, Marathon, Sea, Solitary. 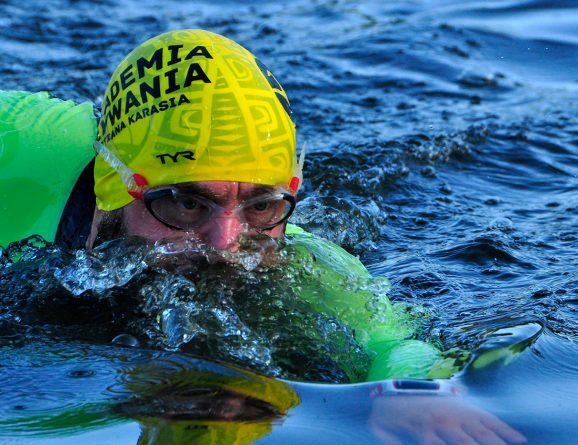 Named in WOWSA top fifty adventurous open water swimmers. How I will #sharetheswimlove: Via Instagram, Facebook and Twitter profiles, especially on the day and surrounding days on which I do a significant swim. 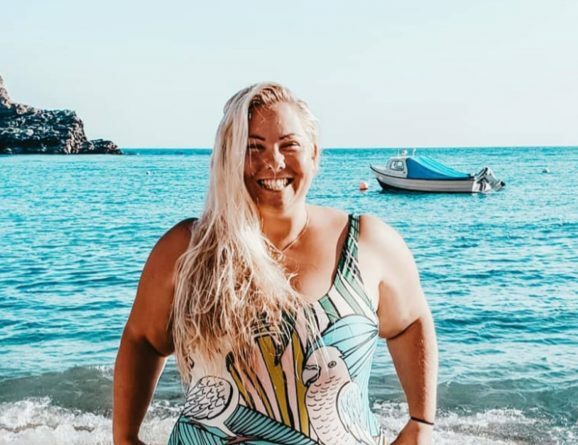 I love inspiring people connected to me to swim, especially in the outdoors and in open water. I do not enjoy doing “prescriptive” or forced inspirational posts that inevitably sound like I’m trying to boost my own ego so being part of an organised “campaign” that is real and exists for the right reasons, appeals to me. Special swimming moment: There are so many. My very first ocean swim changed my life. It was a 10km race in a bay that is known for its white shark population. I had never swum more than 5km in my life, and I was worried about the distance, about getting cold, and of course, about the sharks. But less than 15 minutes into the swim, my head cleared (probably for the first time in my life! ), I surrendered to the rhythm of the ocean and mystery of my own soul and realised that this solitary bliss was going to be my happy place forever. What am I dreaming of? I’m hoping to cross Nelson Mandela Bay, a 20km stretch in Port Elizabeth (South Africa) that has not been swum. I am just struggling to find a support crew as the locals think it’s “too risky” 🙂 I am also hoping to do Tsugaru Channel but this will only be next year or thereafter. 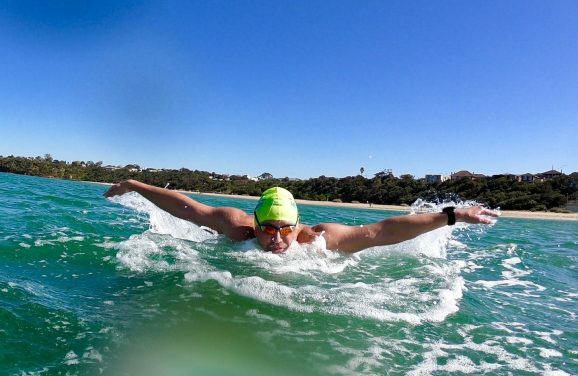 I would love to find a sustainable way to invest more time into my Swim For Hope project through which I raise funds and awareness for child-related causes in South Africa. At the moment I’m supporting Muzukidz, an organisation that teaches township children to play the violin. It is hugely rewarding to be able to make a small difference, and if I could, I would spend much more time on this – there’s nothing better than helping others whilst in my “happy place”! 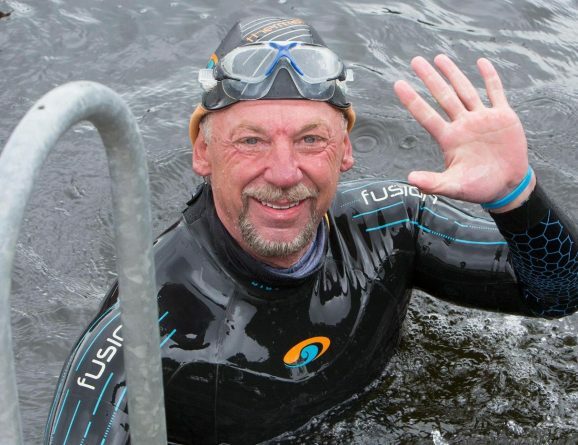 Special swimming moment: Becoming the first person in history to swim the entire length of the Willamette River (2014) while an active cancer patient. I swam to inspire other cancer patients to refuse to give up because of their diagnosis, only to find out the swim had healed my leukemia. Becoming the first to swim the entire length of the River Shannon (2017) while raising money/awareness for the Childhood Cancer Foundation of Ireland. What am I dreaming of? Becoming the first person to swim the 100 swimmable miles of the Eel River in California and swimming through ancient Redwoods to highlight the need for environmental protection of all our wild waterways. Special talents: Writer, Speaker, Environmentalist. I have written a book and I am working on a second (this one about my swim/healing story – I wrote a weekly advice column for 8 years that was in several newspapers in the USA). 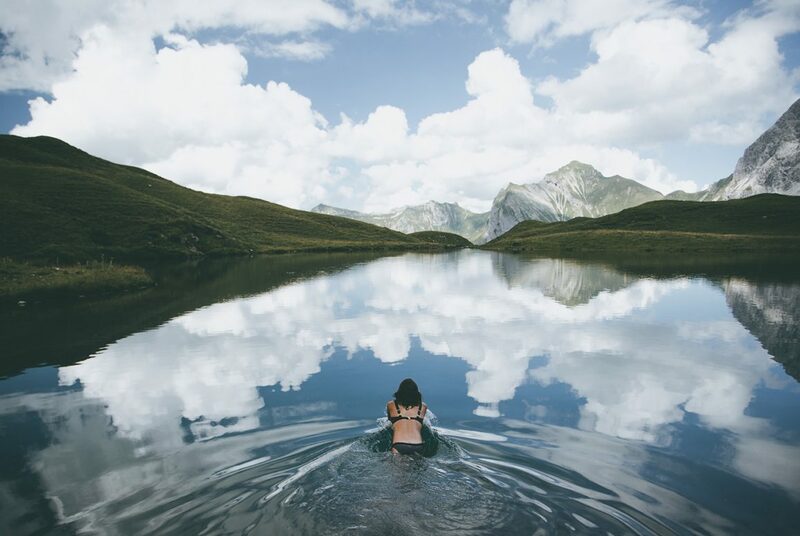 How I will #sharetheswimlove: I try to show people the beauty of wild swimming – captured by my lens. By sharing my passion and photos I inspire people to go wild (and cold water) swimming, to overcome their fears and to try something new. 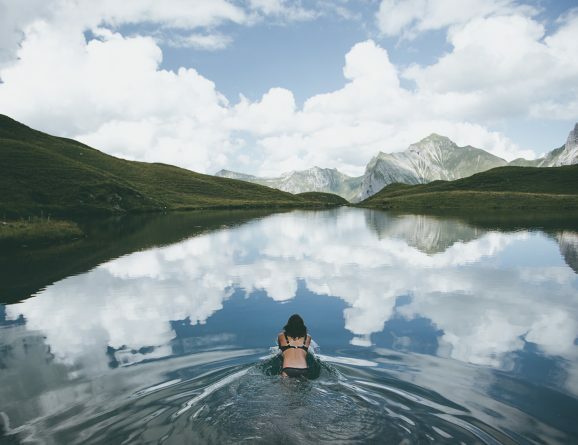 Special swimming moment: Most swims are special for me, be it the early morning swims through the fog above the lake or the late ones when the sun goes down – but I think my most special one was when I jumped into a mountain lake in the deepest snow storm with my mom. What am I dreaming of? Doing many hours in lakes and rivers – lately I got a bit hooked on the idea of long distance swimming and crossings. So my first step into this direction (and my biggest challenge for this year) will be my first long distance open water swim: 11km, crossing Lake Constance from Friedrichshafen to Romanshorn. How I will #sharetheswimlove: I post on Instagram a daily shot of my swimming with the message of how it has helped me in my recover. What am I dreaming of? 25k ultra marathon in 2 weeks. How I will #sharetheswimlove: I will #sharetheswimlove by continuing to create imagery, from the sea, of the sea that that visually communicates the joy of open water sea swimming – if someone sees one of my images and says they want to be in that water, then I am happy. Special swimming moment: In July of 2017 I undertook a personal challenge to swim in every coastal county of Ireland in two days, 17 swims in total. It turned out to be more of a driving challenge than a swimming challenge but each of the 17 swims was special. The last swim of the challenge, back in my “home” water of Greystones, Co. Wicklow, was particularly special. With me on the trip were two of my brothers and a nephew. 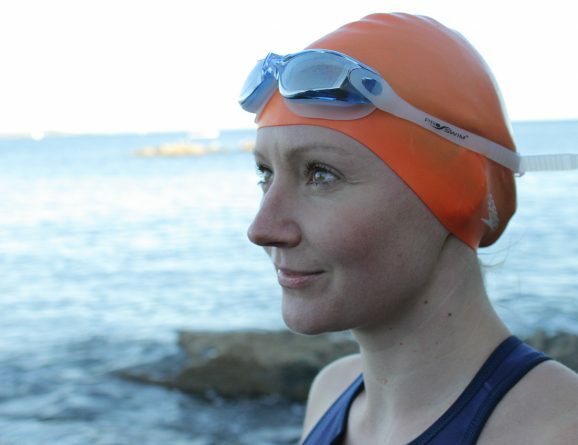 When we arrived in Greystones at about 10.00pm – after a day that started at 5.00am on the other side of the country – we were greeted by a large crowd of my swimming buddies and other friends and family. There were many learnings on that trip, but to be reminded of the strength and generosity of my own swimming community is the abiding memory. What am I dreaming of? 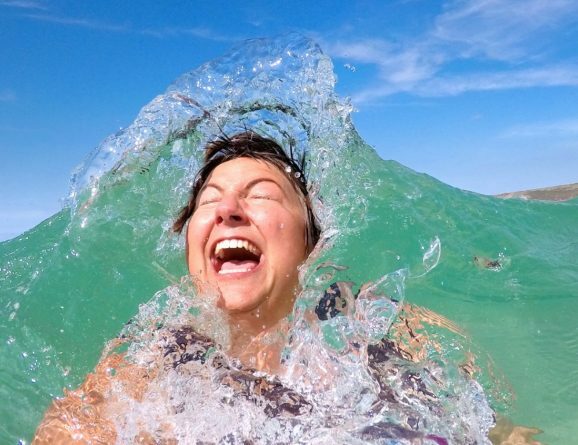 Daily sea swimming is a very simple, uncomplicated activity. It gives back 10 fold… 100 fold… more, in benefits compared to the effort required. If you have a swimsuit, a towel and access to the water you are set. However I am coming more and more to understand that it is also a privilege that my particular set of circumstances allow me to enjoy and as such not to be taken for granted. When I decided some years ago that I would carve out a section of the day just to do an activity that was for me I had no idea it would lead me to where I am now. So my dream for this year, and I hope for many years to come, is that I can continue to do exactly what I am doing now. I love and am in awe of the distance swimmers, the ice swimmers, the adventure swimmers – but let’s hear it for the daily dippers. Showing up, gas bagging, tea drinking and letting the liquid energy kick start our days. Special talents: Photographer. I am an enthusiastic amateur sea photographer – with notions of taking the activity more seriously sometime in the not too distant future. A few words that describe me: I’m Polish swimming anthropologist. I was born into a family of swimming coaches, so I started swimming earlier than walking. Now I try to divide my life between work in The Asia and Pacific Museum and being a swimming coach for disabled swimmers. Privately I train three times per week. Searching of the essence of swimming brought me to open water. Now I devote this time swimming with underwater camera among others swimmers and capturing people and their passion for swimming, and historical places. I’m also interested in history of swimming and practicing my trudgen stroke. How I will #sharetheswimlove: Sharing the passion for swimming is primarily for me through open water swimming promotions, and events dedicated to all people who love swimming. This year I was one of the organizers of the 12-hour marathon Otyliada and I also cooperating in organization of the first Polish event dedicated to slow swimming. I also share my swimlove via Instagram and the Facebook project 100swimmers100pools, and via the “Poland open water swimming group”. Special swimming moment: The most wonderful moment related to swimming was with my father and his private lessons in the lake. The moment when I first found myself on the water without anyone’s help. It was a fantastic and deep experience. Swimming in the lake without any restrictions and contact with nature. What am I dreaming of? I dream about organizing the first event in Poland dedicated to slow swimming. It will take place in June. And then visit beautiful lakes with friends, make beautiful pictures of them and describe what swimming is for them. Special talents: Taking photo, teaching people to swim.